I so admire your style & talent, Lori! Gorgeous projects with beautiful colors, bows--everything! Really sweet items, and absolutely LOVE that butterfly!! :) And you put them to a fab use with your sweet tag and card! So dainty and elegant Lori!!! 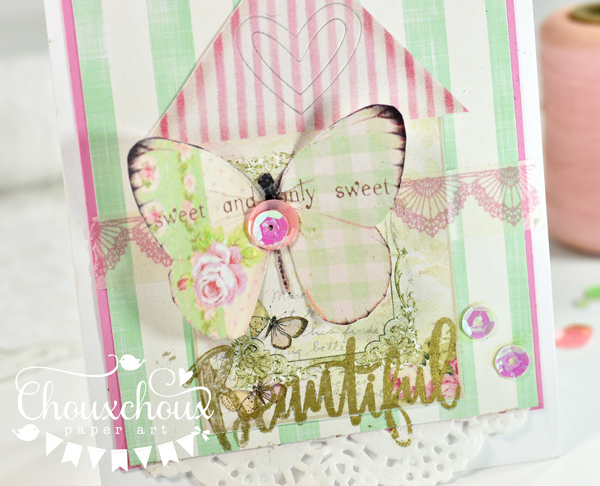 LOVE the butterfly and the designs from Beatriz' shop!!! Have a wonderful week! 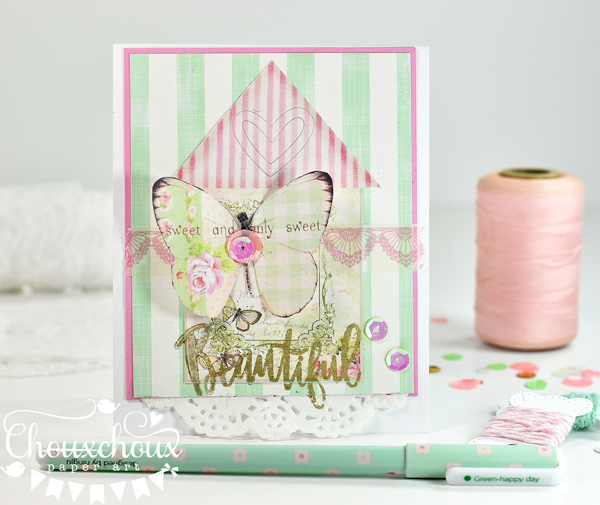 What a sweet card in lovely colors, Lori! Very pretty butterfly! Awesome pocket and tag, too! Great idea to slip in a candy bar for a birthday or any occasion! Thanks so much for the inspiration!! 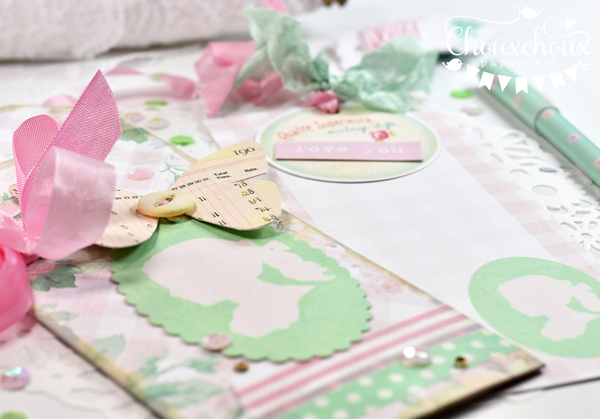 I love the soft, feminine colors and patterns on your projects! The pocket tag is a fun idea too! 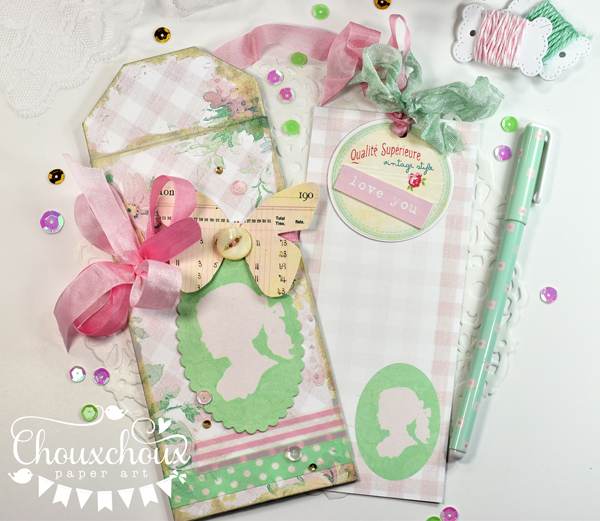 it is just beautiful, her stuff is so wonderful and great shabby chic!! 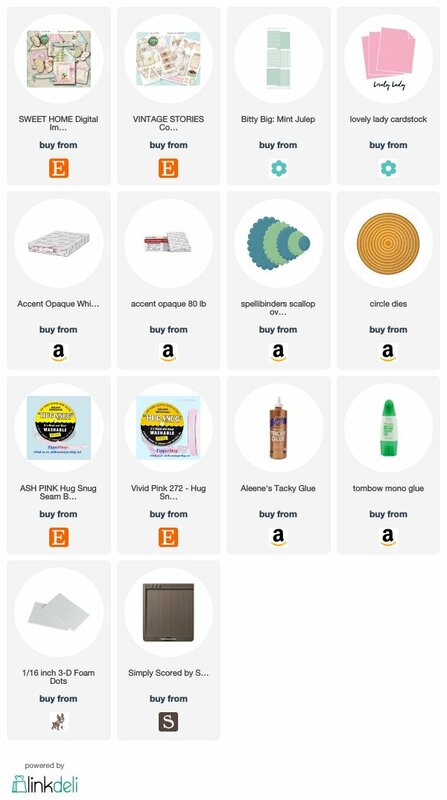 Love what you have done with the goodies! all that pink and green would be right up my secret sister's alley. Lovely images and you've put them to work is some very clever ways.